Welcome to Phoenix Aviation, now in it's 11th year of operation from Solent Airport Daedalus! Run by flying enthusiasts for flying enthusiasts, the Club offers affordable flying tuition, aircraft hire and trial lessons in a friendly and professional environment. If you would like to find out more about purchasing or redeeming trial lesson vouchers, please click on our Trial Lesson link. We are now located in the Control Tower at Solent Airfield Daedalus at Lee-on-the-Solent, improving our facilities and providing superb views across the airfield. We operate the very popular and reliable Piper PA28 and C42 aircraft. At just £135 per hour wet for one of our four very well equipped Warrior IIs and £153 for the Archer III, our solo hire rates are extremely hard to beat. 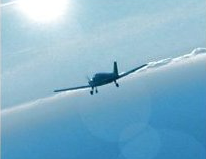 Phoenix Aviation is a CAA Declared Training Organisation (DTO) and can offer flying tuition, groundschool and ground exams for the Private Pilots Licence (PPL), Light Aircraft Pilot Licence (LAPL), National Private Pilots Licence (NPPL) and Microlight rating at equally modest rates. We also provide advanced training for the IR(R) and, once runway lighting has been reinstalled, for the Night Rating. 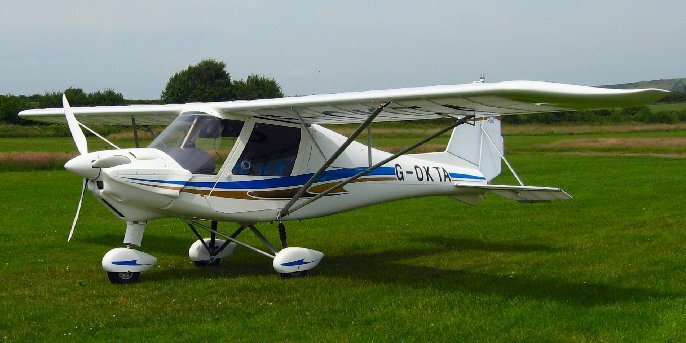 If you would rather fly Microlights, then why not learn in one of our superb Ikarus C42s at £118 ph, or solo hire at £80 ph. Trial Lessons start at just £90 in the C42, and £130 in a PA28. Solent Airport, a licensed airfield, is fast becoming the place to fly from on the South Coast, with an ever-growing fleet of home-based aircraft. If you wish to find out more about Phoenix and what we can offer, please either use the contact form or simply telephone us. Please see our Rates and Terms & Conditions for details concerning payments, prices and bookings.